If you’ve got big dreams for a small business or creative project, Kickstarter is a valuable resource for raising money through crowdfunding. Set a monetary goal for your project, tell the world what it is you’re trying to do, and cross your fingers as your project opens for donations. While some people have raised much more than they set out to, not everyone can be a Kickstarter success story — and those who don’t meet their full goal don’t get any money. Whether you’re new to Kickstarter or just want a do-over for a project that’s already failed, these eight tips will give your campaign a fundraising boost. Set your goal lower than you think you need. By your calculations, you need $25,000 to get your project up and running and keep you comfortable and fed as you devote every waking moment to it. But if you set your Kickstarter goal at $25k and fail to meet it, you don’t get any money, even if you raise $20,000, an amount that might have been enough for your project. When setting your goal, be realistic and keep it lower than what you really want. You can meet the goal, keep the funds, and potentially make double or triple what you really wanted since Kickstarter allows you to raise more than you asked for. Some people break their project up into smaller parts. If you’re making a movie, you could ask for $3,000 now to shoot it, and come back in a few months and ask for another $3,000 for marketing. Smaller goals will be easier to meet, and over the course of two or more campaigns, you’ll build up a fan base. Have a record of accomplishments. 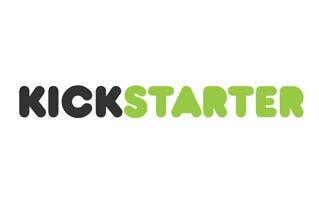 Trying your hand at a Kickstarter project as a no-name start-up can definitely be a challenge. Many projects rely on friends and fans to help get them started, but most successfully funded projects already had a sterling reputation to back up what they were asking for. Double Fine and 2 Player Productions’ Kickstarter project to create a new point-and-click adventure game, raised eight times what it was asking for, more than $3 million total, because they had a reputation for good production values and fun games. Based on the company’s previous products, backers knew they were giving money to something good. You don’t have to be a veteran company to get money, but having some awards or previous projects to show potential backers will earn you more funds. Look at successful and unsuccessful campaigns. Once you’ve got your brilliant idea and a monetary goal in mind, you probably want to just jump into fundraising. Resist the temptation. It’s going to benefit you greatly in the long run if you take some time to come up with a solid fundraising plan by looking through other Kickstarter projects, both successful and not. Use strategies you see in the most successful campaigns and learn tough lessons from those that didn’t meet their goals. Did the success seem to hinge on the uniqueness of the idea itself, the videos, the frequency of the updates? Use these observations to make a plan before you launch your project page. It’s also smart to check out Kickstarter School and the site’s blog for solid advice. At each donation level, you should offer backers a tangible reward for their contribution. This is the only thing those who donate get in return, besides the warm, fuzzy feeling of helping the little guy, so you want to make it enticing. Rewards should be related to the project, and if possible, things that the backer helped make possible. This could be copies of the movie or album you’re making with the money, insider information, or incorporating the backer into the project somehow. The rewards should be interesting and price appropriate — that means you should consider if your autograph is really worth a $500 investment. Make a short, well-produced video. First things first: you have to make a video for your project. It’s given a prominent place on your project page and viewers will be looking for it immediately, so if you don’t make one, you’ll make no impact. The video is a way for backers to meet you and feel a personal connection — an important part of getting donations. There are a few things to keep in mind when creating your video: keep it short, make sure you explain the project and where the money will go, and be creative. A well-produced video will also help you look professional and capable of carrying out your project, so edit your video, even if it’s just using basic software. Providing updates throughout the life of your project is essential for keeping investors interested. Updates while you’re still raising funds will show visitors to your page that you’re active and dedicated while giving them more information on your project; people who have already donated might give more money or encourage their friends to donate. Once your goal deadline has passed, backers will want to see how you’re using their money and when they can expect to see the finished product. Keeping them updated on all your successes and failures will make them feel like part of the project and will make them much more likely to donate to your next big idea. Thank contributors as they donate. When you help someone out, you like to be acknowledged and thanked, right? Well, so do your backers. When a backer gives you money, sending them a personal email just to say thanks will make them feel appreciated and more personally connected to your cause. If you know their Twitter handle, a thank-you tweet can be even better, acting as a public acknowledgment and hopefully inspiring them to spread the word to their Twitter followers. Setting up your project page and waiting for the money to roll in isn’t going to work. You’ve got to get the word out through any channels available to you. Add buttons and banners and links (oh my!) to your website. Contact your local newspaper to see if they’d be interested in profiling you. Reach out to organizations with goals in line with your project. Be creative and outgoing, targeting new people who might be interested; one Facebook status isn’t going to rake in thousands of dollars. This article was first posted in Business Insurance.